Princess River Cruises have been operating river boat cruises on the River Trent in Nottingham for over 20 years. 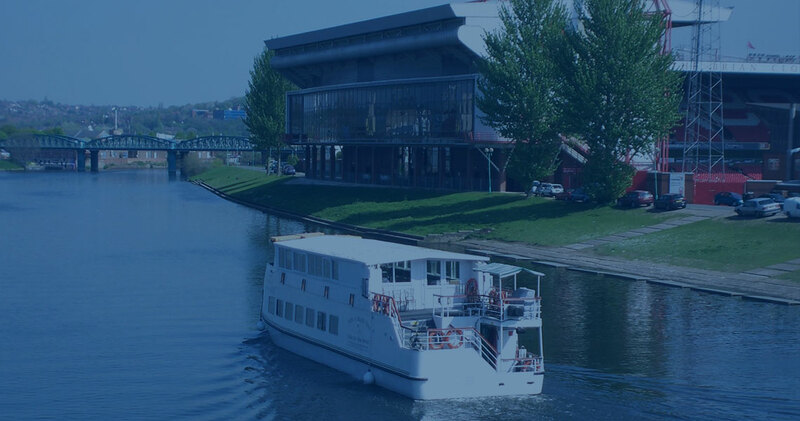 We have always been proud of the fact that the Nottingham Princess river boat is the largest to grace the waters of the River Trent with a capacity of up to 140 passengers for informal events and up to 100 passengers for formal sit down meals. We also have the the Nottingham Prince river boat which is perfect to hire exclusively for parties of up to 50 passengers. Please contact our bookings team on 0115 9100401/402 who would be pleased to advise you on how to book your next special event on a river boat cruising the River Trent in Nottingham.